Pension funds are triggered by several reasons to review their investment philosophy. The first is good housekeeping. Investment philosophies tend to grow organically over the years, resembling rich decorated christmas trees where new strategies are added, and few older ones shedded. The overview eventually gets lost; addition of new strategies might conflict with existing ones. Additionally, trustees woke up to some nasty investment surprises in recent years, requiring a rethink of foundations on which investments are based. Finally, stakeholders are waking up. Funds with published investment principles to comply with regulation now find that participants, stakeholders and regulators are actually starting to read them, requiring a more thoughtful consideration what is actually written on paper. The role of sustainability, costs, alternative investments, are just a few examples where public debates have centered on what funds actually do compared to their published policy. 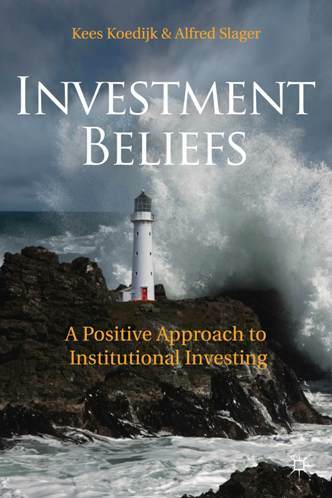 Unearthing investment beliefs is straightforward. For example, one could start with interviewing or surveying board members to make the assumptions and beliefs explicit that the trustees currently hold, and translate these into consequences for the investment organization. This can be complemented with a sketch of the current investment philosophy and organization, and the implicit assumptions behind these choices. Confronting the two views usually sparks debates and insights needed to clarify and develop the investment philosophy. As it should be, the outcome of the debates are unique for each fund; but there are some commonalities. Observation #1. Composition of the board and debate.The dream team of a board of trustees? Articulate trustees with strong views on where financial markets are going, what works and doesn’t, and also a knack for spotting an investment opportunity. This seems the ideal recipe for meetings that do not last long, lead to clear decisions and give all involved a feeling that they are on top of things. The more of these personalities are part of the board, the more the debate about an investment philosophy suffers, especially when the other board member are conformists (or the chairman is keen to move toward unanimous decisions). Too little information comes out, and the board tends to follow the articulate trustee or external advisor who speaks first. Red flags in the debate are forecasting and past best practices. The expert trustee (or external advisor) tends to emphasize their expertise, sometimes indulging in all kinds of forecasting (I think interest rates will rise and equities will falter kind of forecasts), which sound impressive but are not helping anyone due to crucial vagueness (when will interest rates? From what to what level? are generally absent). Trustees furthermore draw comfort from the experts’ past best practices (mark my words, I’ve witnessed inflation in the 80’s; active management comes and goes in cycles, nothing to be worried about). The problem is that forecast by definition are a futile exercise for boards, since it is extreme hard to predict the sign of the direction of financial indicators, let alone the level. Furthermore these best practices are anecdotal, rather than fact- or evidence based, and are time- and context dependant. Well managed boards create more balance in these debates. Ideally, forecasting should be reduced to a once-a-year sweepstake*. The chairman plays an important role to, giving ample space to trustees who are not considered experts and run the danger of being less heard in the debate, but who take the role of challenger. Observation #2: Bold character. Are pension funds more than a special type of financial intermediary, and do they inhibit a soul or character? Pension fund trustees sometimes seem to think so. Becoming and early adopter in new investment strategies, or making bold choices in (tactical) asset allocation is justified on the perceived character of the pension fund: our participants expect us to be a pro-active, innovative investor, since this reflects best what our participants do in daily life or the companies they work in. The supposed link between the (aggregate) character of the participants and the character of the pension fund was somewhat of a surprise to me. If I were to be skeptical, the reasoning might well be reversed. Trustees choose an active investment strategy because in their view, this enhances their personal reputation. For downward protection, the choices are justified with the perceived aggregate character of the participants. In any case, I’d like to find more research on this. Observation #3: Hesitance to view the investment industry as just that – an industry. One of the theoretical underpinnings to make explicit the investment philosophy is that it helps manage the so called principal – agent problem: asset managers are investing other people’s money and might not always have the funds’ interest on top of their minds. An investment manager and industry wants to grow, increase its share of wallet, and offers an increasing amount of products and services to that end. The means of communication is the scientific language of risk and return; giving the board the idea that they are dealing with an objective problem, similar to bringing your car to a garage and discussion the pro’s and con’s of replacing parts in the motor. Boards sometimes feel uneasy when investing is framed as an investment industry; with consumers and suppliers. Why is this? Trustees perhaps feel that this infringes the relationship built on perceived trust with their asset or fiduciary manager, and that the alternative is a relationship more built on outsourcing relationship, which is fine for the likes of sportsgood-manufacturer Nike but is not the (gentlemanly) way we do business in the financial sector. Suggestions are welcome! 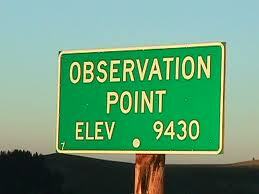 Observation #3. Delegation. There is some fascinating biodiversity in the management style of pension fund boards. If we generalize big time, boards of smaller pension funds, especially from company plans, are hands-on in the investment debate. They are keen to get to the bottom of strategies and their assumptions, think through the consequences and act on it. This signals that they do not invest other people’s money, but feel responsible for their own and their colleagues’ pensions. Boards from larger pension funds hold a somewhat different view. They view investment philosophy and strategy as a process, which can be delegated to specialized committees or staff**. Both management styles have their merits and weaknesses. For the smaller pension fund, the quality of organizing investment expertise around or in the board is important. For the large pension fund; drafting clear roles and responsibilities that guide as well as discipline the investment staff becomes more important. Definitely an area to look into. Observation #4. In a few cases; there is a reluctance to make the investment philosophies explicit. Perhaps this has to do with the party who initiated the discussion – the need to make investment philosophies explicit is in some cases more driven by staff of the pension fund than the trustees. In some cases we found that while there was a need to write down the investment philosophy, the discussion focused on that it shouldn’t guide or hinder the pension fund or organization. For example, an (internal) investment manager pointed out that his added value is more art than science; an attempt to make this more concrete would hinder his valuable contributions to the fund. More subtle is the hesitance from (members of) an investment committee. In a number of discussions, the impression arose that investment committees tend to interpret their roles and responsibilities rather broadly, engaging in semi-forecasting activities and bold tactical asset allocation decisions. Formulating investment beliefs generally challenges these activities – why should an investment committee makes these choices, why do they think that they add value, and if the answer is yes, why not rules bases instead of discretionary and outsourced? Observation #5. Not to much evidence based argumentation please. Sometimes investment beliefs serve other goals. Certain investment beliefs are there to save the day; while others create maneuvering space. Consider the belief in emerging markets (equity premium). Maybe markets remain volatile, maybe active management doesn’t save the day, but there’s always the hope that in the long run, the allocation in emerging markets will more than compensate the other investment choices. China is undergoing a unprecedented transformation, unwitnessed in history. Never mind that emerging markets are called emerging for a reason, and created some major crises in the 80’s and 90’s. The danger in the debate is that these choices are accepted on the argument „what else is there left to earn money with”. The opposite also holds. The current financial and economic crises are so severe and unique that we are basically navigating without a map: the „this time is different argument”. This argument opens the gate for extreme investment choices, like investing in precious metals on a large scale. While a eurocrisis is surely unique, crises in general are not, and there is a growing stream of literature on how crises and their aftermaths proceed. The uniqueness argument reduces accountability for extreme investment choices in the debate. Observation #6. The search for shared definitions. While trustees share a sense of what is important, it becomes tricky when we challenge them on the basic premises. What is meant by active management? Asking this face-to-face, the investor-savvy trustee would point out that this relates to the mandate. Another trustees relates active management to tactical asset allocation, a third one simply interprets it as closely monitoring the investments. Maybe it’s all three, but common sense dictates that trustees and investment staff should be clear on this. Active management is the easy one to find common ground; consider long term horizon as a much harder one. This term is crucial in the mantra of pension funds, since investors argue that a longer term horizon allows investors to compensate negative and positive shocks, and invest in more volatile securities to earn additional compensation. But what is long term? Long enough to bridge the longest periods seen in history where equities earned negative returns? Or long enough until the last participant who starts working today will decease? Or should we be honest, admit that these long term horizons are beyond our mental grasp; and focus on what we consider to be the length of a reasonable economic cycle? This matters, because all three examples are long-term horizons, but would result in completely different asset allocations and investment strategies. So one thing we’ve learned is that developing an investment philosophy starts with developing shared definitions. Observation #7. Strategic use of vagueness with definitions and beliefs. If I was a participant, and I would read on my fund’s website that „sustainability is an important consideration” in the investment process; how would I react? The participant in the pension fund might rest easy, believing that the fund does everything it can to pursue sustainability. The pension investor on the other hand can safely claim that he has considered sustainability in his investment decisions, with no material consequences. We regularly come across these phrases that suggest a lot but commit to nothing. In some circumstances, they make sense. Sustainability as an investment debate gained ground about a decade ago, and while trustees felt that it had significance for their fiduciary responsibility, they were not sure how embed sustainability in the portfolio, not in the least because tools to monitor, or strategies to invest in did not exist. But the investment industry has progressed, and so has the debate. These formulations are highly political driven, but can drive the investment organization mad when they try to translate this into a workable investment proposition. **An interesting paradox is, in my working experience, these sweepstakes tended to be won by the back office employees, with questions about interest rates, levels of equity markets, and growth of GDP in major markets. Knowledgeable enough to know what they invest in, not involved in the actual investment management decisions. **There is a detachment that seems foremost related to size. As one trustee sketched out: with a fund our size (the $10 − $30 billion AUM region), you basically become the market. And when you become the market, there’s less need to choose and figure out what matters. This seems an unsatisfying explanation though. For starters, it begs the question what the market exactly is. It is also a severe overestimation of the funds’ impact. A pension fund holding $20 is a mere drop in the ocean of the financial markets. Alfred Slager is professor of pension fund management at TiasNimbas Business School, and director of CentER Appplied Research at the Tilburg School of Economics and Management. His expertise includes international financial services, with a particular interest in investment management and pension funds. He regularly teaches courses to investment managers and pension fund trustees. Prior to this he worked as Chief Investment Officer at Stork Pension Fund, as investment strategist and policy advisor at PGGM Investments, and as manager research and investment manager at Fortis Investments. Slager regularly publishes on pension and investment management subjects and teaches executive courses for pension fund trustees. This entry was posted in Blog, Uncategorized and tagged Behavioral Finance, board meeting, decision-making, investment beliefs, investment governance. Bookmark the permalink. light inside the structure in order to maintain heat or cooling, as needed.